Playtech was founded in 1999. Since then the company has produced a number of important changes that are now recognised features of the online gaming industry. These include VIP ratings – where loyal customers receive extra bonuses, comp points – a cash back system where points are earned by the amount of times a game is played. These points can then be converted into money. And, perhaps their most important innovation of all, live-dealer software. This enables casinos to use a real, live dealer and equipment for table games (Blackjack, Roulette etc). Via video streaming technology the customer can play against the casino without relying on RNG (Random Number Generating) technology. Playtech offers full support to its licensees. From software to backroom management to customer support, the company prides itself on providing an honest and reliable service. It is interesting to note that Playtech provides compulsive gambling recognition technology to its casinos, thereby showing that their caring attitude reaches the end user. Playtech provides software for casinos, poker rooms and bingo. Currently, they are one of the largest such companies around. One of their unique features is providing suitable game and support (language and currency) for the Asian market. Their software has an excellent reputation for reliability, graphics and ease of use. Their slots are considered slightly inferior to other software providers, but are leaders in table games and, what has become known as soft games (games that are decided on luck alone such as heads or tails). •Adjustable card size – ensuring easy viewing. •Multi-window gaming – play different games at once. •Adjustable speed – choose how fast or slow you want to play. •Fixed odds games (heads and tails, bowling etc). •All popular table games (Blackjack, Roulette, Baccarat etc). •Multilingual operating language and customer support. •Multi-play options – play at as many tables as you like simultaneously. •Quality graphics including full screen play mode. Poker rooms may also become member of the iPoker network. 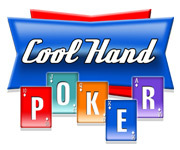 Membership is decided by the licensee, so interested players should check out any poker site before registering. iPoker network is a large, interlinking network ensuring many poker rooms and table options everyday, all day. Bingo has always been a social gathering as much as a game. Playtech aims to duplicate the warm, friendly atmosphere of the traditional bingo hall. Chat and player interaction are therefore major features of Playtech’s bingo software. •Each bingo hall has its own chat master. •Chat facilities include player’s pictures, emotions and private chat. Playtech had received official certification by a number of well respected, internationally recognised gaming authorities. These include RNG evaluation from TST (Technical Systems Testing) and ABB – a British bookmakers association. Remember, it is always advisable to thoroughly investigate any casino before you make a real money deposit, no matter who provides the software.